On 1 March I met with a group of people from Oxford – city council officials, an elected councillor and staff of social enterprise Aspire Oxford – to talk about their vision for the city. I heard a lot about social enterprises, cooperatives, community wealth building, paying the living wage. All this will be familiar to readers of the Rethinking Poverty blog. What is different is that these things are being talked about in a city that is wealthy and flourishing rather than one that is abandoned and left behind. The emphasis here is not on revitalising a failing place but on reducing inequality: there are huge – and growing – differences between different areas of Oxford. For example, the gap in male life expectancy between North and Northfield Brook wards, just six miles apart, has increased from 4 years in 2003-07 to 15 years in 2011-15. While community enterprises are thriving, there aren’t many in the poorest areas where they would make most difference. How can the gaps be bridged? 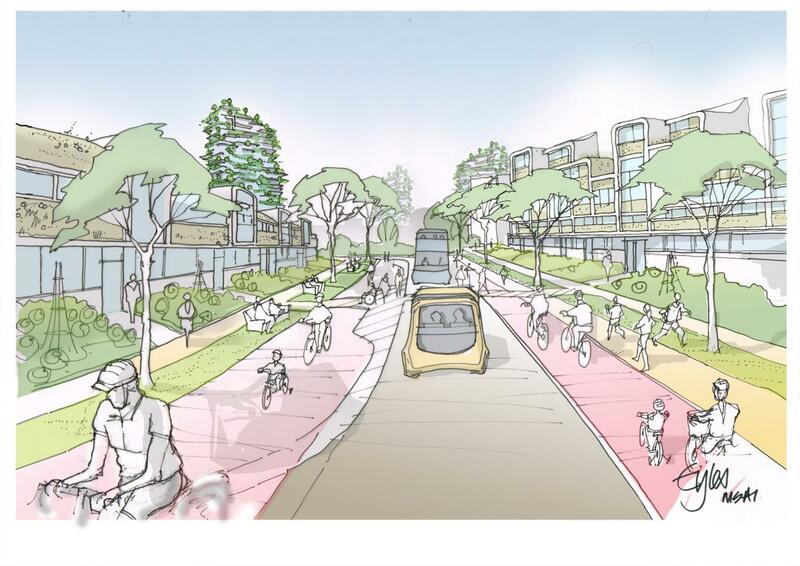 It’s not yet clear how the vision will be implemented, ‘but the council will aim to look at all its plans and activities in light of whether they will help achieve it’, says Tim Sadler, Oxford city council’s Executive Director, Sustainable City. But Sadler is insistent that there’s ‘an awful lot going on already without council involvement’. City councillors can see the power of social enterprise to tackle some of the issues that other sectors have failed to do. ‘We need to try to understand what the council should and should not do to enable this community to thrive. I often talk about leadership by not getting in the way,’ he says. Councillor Richard Howlett, now city champion for cooperatives, echoes this perspective, saying he’s ‘keen to encourage what is already happening’. The Labour group has called for the council to explore how the principles of community wealth building could apply to Oxford. As the council’s Economic Development Manager, Matthew Peachey works on creating an inclusive economy. One example is promoting the Oxford living wage, which is 95 per cent of the London living wage, reflecting the high cost of living in Oxford. The council as an employer pays the living wage and encourages other employers to do the same. It has been working with Aspire to develop an inclusive employer group and an inclusive recruitment charter. It’s also working with the Living Wage Foundation on making Oxford a living wage city. Eighty-five Oxford employers (including branches) are paying the living wage so far. The University of Oxford is a living wage employer, for example, and 17 of the 38 colleges. Typically subcontracted areas like cleaning and catering pay below the living wage, ‘and this is where we can challenge employers’. But it’s ‘a very slow process’. Sadler also emphasises that the city council doesn’t do much outsourcing compared to other councils, and what there is is mainly to non-profits – the exception being recruitment, which is done through Reed. In fact they ‘insource’: the council has created a large arms-length company called Oxford Direct Services, which provides services like waste, recycling, highways and street cleaning. ‘We call it a social enterprise. It generates a surplus which is paid back to the shareholders, ie the council, and applied to all sorts of services, thus reducing our overheads and the cost of our services.’ Spending locally is also seen as important: the council aim is to have 54 per cent of its spending with local suppliers. It also has a £1.5 million grants programme supporting voluntary work in the city. Aspire itself is an employment charity and social enterprise directly addressing inequality, explains Aspire COO Mark Gallaher. Its various businesses – in areas including recruitment, groundcare, property services and community transport – bring in 60 per cent of its income and provide jobs and work experience to help people into work who have been excluded for some reason. Sixty per cent of its employees have experienced disadvantages such as rough sleeping or a prison term. Aspire pays the Oxford living wage or higher. Its charity projects include homeless prevention and relief, preventing reoffending and giving help and advice to individuals looking to find work/make themselves ready for work. If there were more SEs, co-ops, CICs, etc, larger companies wanting to change the way they do procurement would have more choice of who to buy from, says Roberts. This includes the council. ‘We are working increasingly with Oxford Direct Services. For example, we’ve talked about how we can support them with their recruitment needs – there’s a challenge there because Oxford is such a tight labour market and it’s difficult to recruit for relatively low-paying roles in such an expensive city.’ If the council is to outsource more to SEs, it will need to break up existing contracts, which could only be taken on by big companies, into smaller ones. How to support community enterprise development in poor areas? Two ways the city council can help are providing community workers in the most deprived areas and helping make space available to community enterprises. On the community side, Oxford has a network of community action groups (CAGs), but again these are mostly in relatively privileged areas. Funding for social enterprise development is also on the horizon from the Local Enterprise Partnership via the European Regional Development Fund. This is not yet officially confirmed, but the amounts involved could make a significant difference. Howlett instances a shop/community cafe in Sandford village as an example of how this can work. It all started with one woman who had recently moved to the village with her family knocking on every door and saying ‘wouldn’t it be nice if we had a shop back in this village. There seems like a lack of a community hub here.’ Out of this a group was formed, involving a cross-section of people from the village, and now Sandford has Talking Shop, a shop/community cafe that he manages, and various spin-off projects. There’s a weekly market, and once a month there will be a Thoughtful Community Table involving parish councillors, the village hall committee, Talking Shop, and a new action group of litter pickers, ‘basically a bunch of mums who got together in the cafe’. ‘They will be at this table giving other people in the village the opportunity to suggest other ideas, to get involved. Each of Oxford’s five priority areas has a community worker – something I had thought was a dying breed! – whose role is to work with local people to find out what they want/need and to identify people with ideas to address these needs. If local people decide they’d like to establish say a community shop or cafe, the next step is to put together a plan. Aspire often helps with this informally, and they now have grant funding to pilot employment of an enterprise development adviser. Another thing local authorities can do is to make empty properties it owns available to SEs at a reasonable rent, for example an empty unit in a council-owned property in a shopping parade, and to encourage other organisations to do the same. In one instance a former children’s centre closed down and the community wanted to use the space but the council said they couldn’t engage with them because they weren’t a legal entity. So Aspire worked with them to set up a community benefit society and helped them write a business plan and negotiate a lease. Again this is the sort of thing Aspire will be able to do more of once its enterprise development adviser post is established. How about encouraging other organisations to make premises available to SEs? Makespace Oxford was formed by a few groups in the city who recognized that one big obstacle for community businesses is the high cost of space and that there are lots of empty spaces around the city that could be used, at least temporarily. 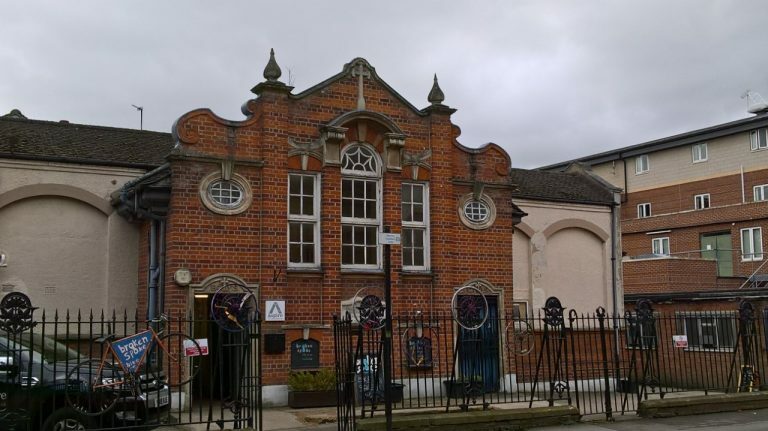 Makespace itself occupies a university-owned building which now houses 20 organisations; 57 applied for the space in a couple of weeks, demonstrating the high level of demand. Since 2008 Aspire has occupied an ex-school building owned by Christ Church College. Aspire’s building, owned by Christ Church College. 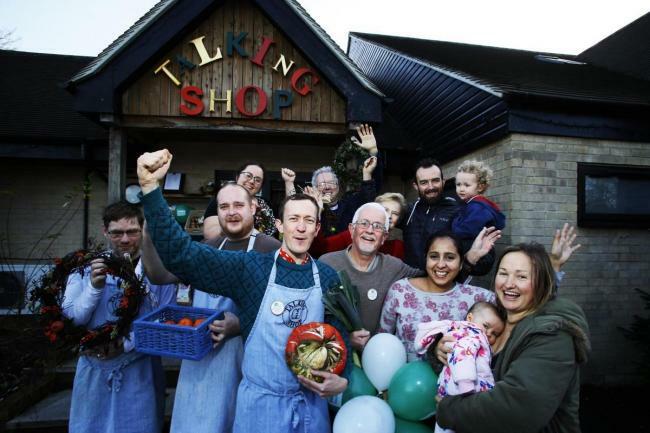 What makes Oxford a good place for community enterprise? Demographics plays a big part here. Oxford tends to attract the sort of people with the skills needed to establish and run SEs and co-ops. They also help to provide a demand for their goods and services as many people want to make purchasing decisions that have a social impact. Community enterprises are increasingly well networked – both through the CAG network and through personal relationships. Recent meetings at Makespace Oxford have talked about mapping the city’s ‘social solidarity economy’ and the potential for a coalition of organisations to come together to make it happen. The ‘infectiousness’ of a model can also help it to spread, so people buying vegetables from a co-op might get the idea of using the co-op model for childcare. But all this tends to be happening largely in relatively privileged areas – hence the challenge, outlined above, to increase capacity in more deprived areas. On the council side, it helps that the city council is relatively wealthy – partly because Oxford is a wealthy city overall and partly because of historic good decisions such as keeping its social housing – selling it off would have been ‘the biggest mistake we never made’, says Sadler – keeping outsourcing to a minimum, and setting up the arms-length company to run council services and generate profits for the council. 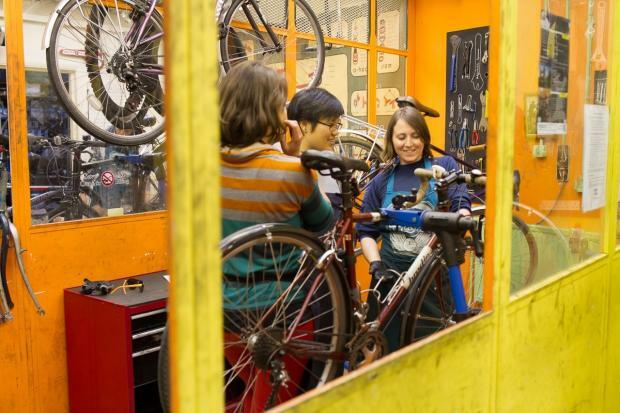 Aspire lets out one big room to Broken Spoke, a cycle co-op. Oxford2050 contains the city council’s vision for Oxford. Based on an extensive community consultation exercise, it has involved much more engagement than when we just wrote a corporate plan for ourselves, says Sadler. But the council wants to go further, helping to create a vision for the city based on community aspirations. Sadler thinks of this in terms of a triangle. The old-fashioned model envisages a victim, an oppressor and a rescuer – the council. How to transform this into a more empowering response where the council is more of an enabler, and the victim acquires some agency in their own right. This is partly about developing community leaders. Amsterdam, awarded the title of European Capital of Innovation 2016, actively looks for ‘citymakers’ in all walks of life, holding participatory town hall sessions to provide space for ideas to surface. How to be actively enabling without being crushing? That’s the challenge for the city council. ‘We’re quite good at resisting the urge to take control, which can stifle innovation,’ says Sadler. Council officers don’t have all the answers, Peachey insists. But we do need to offer some sort of framework, says Howlett, saying ‘this is the kind of city we should be working towards’. Caroline Hartnell convenes the Rethinking Poverty blog.